There has been a change in date and time since the original publishing of this article. We’re excited to have IVANS, a division of Applied Systems, bringing us another informative webinar in less than 30 days! On Monday, March 11th, a panel representing both agencies and carriers will discuss the use of market insights in formulating strategic decisions. The panel will include an interpretation of the newly released IVANS Index report and how each member utilizes the renewal rate reporting strategically. 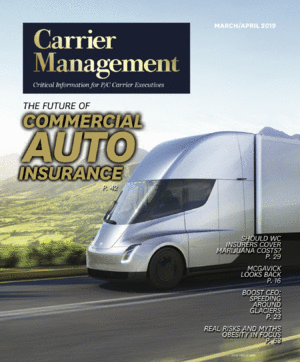 Learn how insurers and MGA’s can utilize this data to determine competitive rate setting and how to track most popular lines for future investment. Plan ahead and register today for What Market Intelligence Means to Your Business in 2019. Deb Smallwood, the CEO & President of Strategy Meets Action, is widely recognized as an industry thought leader who is known for her expertise in helping companies rethink the traditional business of insurance and position for success in the changing insurance world. Deb’s passion is to advise insurers on innovative ways to leverage InsurTech and the emerging technologies that are required in today’s digital connected world. Deb provides insights that guide insurers on their journeys to becoming the Next-Gen Insurers of tomorrow. For over 30 years, Deb has helped customers understand how to leverage technologies, shift strategies, and make the right strategic investments. Deb has worked with hundreds of insurers and solution providers over the years, enabling them to create high business value and differentiate their businesses through their decisions and investments. Deb has held leadership roles in premier insurance companies, professional services firms, and research advisory organizations, where she consistently demonstrated the ability to find new ways to leverage technology to achieve competitive business outcomes. Her skill set includes facilitating conversations with business and IT leaders on the topics surrounding innovation, emerging trends, and the impact these will have on the business and operations, and then bridging the conversations into strategy development, plans, and investments. Prior to founding SMA, Deb served as Chief Transformation Officer (CIO) for Insurance Company of the West where she was recruited to deliver as much technology functionality to the business operations as possible in the least amount of time. Deb led company-wide transformation that included developing and integrating the corporate business strategies into 5 Strategic Initiatives; she executed and delivered on all. Before joining ICW, Deb launched TowerGroup’s Insurance Research & Consulting Practice and served as its Managing Director. As a Partner at KPMG LLP, she launched an IT consulting practice specializing in the assessment and management of IT risks. Deb began her career at Liberty Mutual, where she directed a variety of large-scale core system replacement projects and advanced to leadership of the commercial lines application development and maintenance group. Deb’s expert opinion and counsel are in demand, sought by the press, her clients, and for major industry events. She is a frequent contributor to leading insurance trade journals and has been a keynote speaker at major industry and customer conferences. Deb is a graduate of the University of New Hampshire with a B.S. in Business Administration and a minor in Economics. We hope to see you on Monday, March 11th at 2pm eastern. Sign up now and if you miss it, we’ll send you a notice of the on-demand recording.